Jaha, sÃ¥ var dom igÃ¥ng igen – Arty – pÃ¥ SVT1, konstprojektet (som om det vore ett tv-program). Liksom alla “bra” Hollywood-filmer sÃ¥ ska Ã¤ven Arty nu komma med en uppfÃ¶ljare. Med nio nya program sÃ¥ Ã¤r dom som M A Numminens gummiboll som studsar tillbaka till oss med en helvetisk dissonans. Det fÃ¶rsta programmet tar vid dÃ¤r den fÃ¶rra serien slutade – fÃ¥r jag anta, eftersom jag inte stod ut med att genomlida de fyra sista av dom fÃ¶rra Ã¥tta programmen . Program ett, tvÃ¥, tre och fyra i fÃ¶rsta serien kommenterades dock hÃ¤r, sen dog intresset… Men nu tÃ¤nkte jag att”vi fÃ¥r se om det inte blivit bÃ¤ttre nu dÃ¥”. FÃ¶rresten, som alltid brukar Arty ha med nÃ¥t personligt avslÃ¶jande om nÃ¥gon av programledarna. Detta fÃ¶rsta program i nya serieomgÃ¥ngen var inget undantag. Idag fick vi fÃ¶lja med hem till den yngre mannen, Marcus (som fÃ¶rresten pluggar till regissÃ¶r, det fick vi ocksÃ¥ veta). Hemma hos Marcus sÃ¥ ser det precis sÃ¥dÃ¤r coolt och annorlunda ut som det ska se ut hemma hos nÃ¥n riktigt konstnÃ¤rlig och lagom “bohemisk” person. Lite konstig belysning, nÃ¥n konstig flagga, och sÃ¥dÃ¤r. Arty gÃ¤nget, minus en – plus en joker. We have talked about GW before here (Global Warming) and all of a sudden we stumbled on this magnificent idea that a distinguished member in the Ladoninan Cabinet came up with. If this works it’s outstanding news! We recommend that the inventor get a patent on this – yesterday… The Whitehouse will eat this up! We should set this up on a greater scale. Everyone should try to follow the instructions. The Ministry thinks that connecting the operating refrigerators to wind and solar powered batteries might add to the idea. 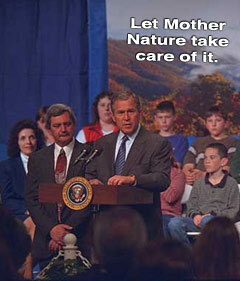 That way we’ll let mother nature take care of it herself. (The Bush Administration likes that rhetoric). Posted in Earth Matters, IN ENGLISH, The Sidewalk Philosopher | Comments Off on Solution for the GW? Hard Winds and snow. Temperature -4 (Celsius) and with a chillfactor about -15. Snowdrifts measuring up to 1,75 meters. A 25 meter strip took about 2 hours to excavate – with tractor. To clear it by hand (and shovel) would not be an option. Weather forecasts for tonight doesn’t look promising. The Ministry totally missed the opportunity to wish the Chinese people a happy new year. 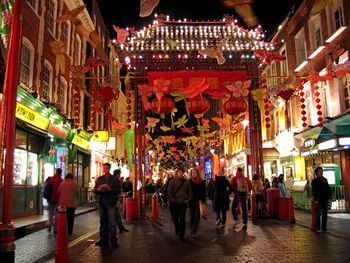 Today is the second day of the new Chinese year (Lunar New Year) . The rotation of the Earth about its axis, causes (the apparent) movement of the Sun from East to West across the sky. So we define one cycle of movement of the Sun as one ‘Day.’ The Chinese word is very straight forward and calls one day as one ‘Sun.’ By 480 A.D., Ju Chongzhi refined it to 365.2428 days, or 52 seconds more than the modern value of 365.2422 days. The concept of a “week” is less important in the Chinese calendar. The ancient Egyptians had a ten-day week, and so did the Chinese. The ancient Assyrians invented the seven-day week, and the names of days of the week that we use even today are based on a system of assigning the five planets visible to the naked eye, the sun, and the moon to the seven days of the week. The Chinese month is defined by the Moon. Each night, the appearance of the Moon changes. From ‘new moon’ to ‘full moon’ and back. So we define a ‘Month’ as the time it takes for the Moon to go through one cycle of motion. As it happens, this takes about 29.5 days. So we round the month to be either 29 days or 30 days. Again, in the Chinese language a month is simply a ‘Moon.’ (The English word “month” is derived from the word “moon”). The next larger unit of measurement of time is the ‘Year.’ For this we go back to the Sun again. Careful observations reveal that the over a period of many months (12), the position of the Sun shifts from very high overhead to a much lower point at Noon time. The length of daylight time also changes from longer to shorter. Even more importantly, the weather changes from hot to cold, giving rise to the four seasons of Winter, Spring, Summer and Fall. It is logical, therefore, to define the length of this time period as a ‘Year.’ A year is a little more than 365 days. In 104 B.C. the length of a year was determined to an accuracy of 365.2502 days. A normal year has 12 lunar months, with the length of lunar month defined above. In order to make up to 365.24 days, an extra month is added during the Leap Year. For historical discussions of long periods, longer units of time are handy. For example, 2007 is in the Third Millenium, 21-th Century, first decade and 7-th year. Year 2007 is now in the Second Epoch, 18th Cycle, 24rd Year. By this method of counting, both the Gregorian Calendar and the Chinese Calendar must pick arbitrarily its Year One. Thus, we are in Year 2007 and Year 4704 respectively. Posted in AllmÃ¤nt/Common Sidenotes | Comments Off on Happy New Year! The Ministry of Art & Jump is preparing a “Fantassia”, the first ever to be performed north by the Sahara and in the west. 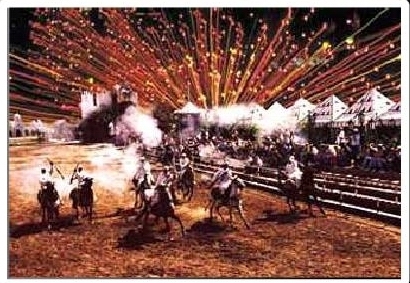 A Fantassia is a sort of “gunpowder play” usually performed by 4000-5000 horsemen. The men charge their horses back and forth on a huge place and firing their rifles in the air at the end of the charge attack and rear the horses. All very spectacular, but also a way of judging and comparing the different horses. The Fantassia is a gathering of tribesmen and are performed, among other places, in Marrakesh. So, what’s all this we hear about a Global Warming, and the “not-a-global-warming”? There seems to be a vast amount of weird opinions on the matter. Sometimes one hear data about warmer climate here in Sweden for about 5000 years ago. If it was warmer then, could this talk about global warming be just rubbish? Just a natural fluctuation? Seems weird. On the other hand news has it that US President G.W. 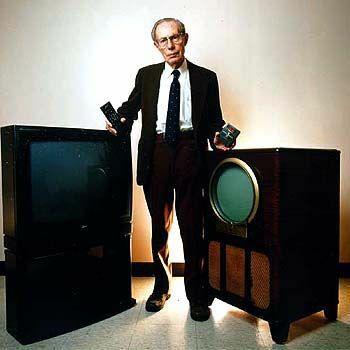 Bush and his Administration (sorry for cursing) has intimidated scientist for years now and even changing reports about global warming… The Ministry will dive right into this matter – so stay tuned. By the way, is it just a freak chance that Mr Bush has the initials “G.W.” (Global Warming)? Posted in Earth Matters, IN ENGLISH, The Sidewalk Philosopher | Comments Off on Wazzup with the GW? Ã„garen till den riksbekanta salladsbaren i GÃ¶teborg, Sofia Appelgren, har beslutat att sÃ¤lja sin rÃ¶relse. NÃ¥gon ny Ã¤gare Ã¤r dock Ã¤nnu inte klar. Det uppger hon i en intervju fÃ¶r TT. Lunchrestaurangen i GÃ¶teborg har i tvÃ¥ mÃ¥nader varit utsatt fÃ¶r blockad av Hotell- och restaurangfacket eftersom Ã¤garen vÃ¤grat teckna kollektivavtal. Pressen blev helt enkelt fÃ¶r hÃ¥rd, speciellt nÃ¤r min familj blandades in, sÃ¤ger Appelgren. Som exempel nÃ¤mner hon att nÃ¤r hon firade ettÃ¥rsjubileum med vÃ¤nner i lÃ¶rdags stÃ¤llde facket upp ett 40-tal personer utanfÃ¶r. Facket sÃ¤ger, enligt SVT Text, att Sofia Appelgren har behandlats schysst men de som sett konflikten pÃ¥ plats fÃ¶rstÃ¥r att facket inte kan stava till “schysst”. Facket sÃ¤ger att det har gÃ¥tt lugnt och fredligt till, vilket Ã¤r en ren lÃ¶gn. Facket sÃ¤ger vidare att dom kommer att stÃ¥ kvar och avvakta tills dom ser vad som hÃ¤nder med Ã¶vertagandet. Man hoppas att den nye Ã¤garen fortsÃ¤tter i Sofias spÃ¥r och orkar hÃ¥lla ut – det vore intressant och viktigt att fÃ¥ detta principiella fall utrett och granskat i alla instanser. Ska facket fortsÃ¤ttningsvis kunna tvinga en fÃ¶retagare att skriva pÃ¥ ett avtal, Ã¤ven om denne rÃ¤ttar sig efter avtalets villkor men av princip inte vill tvingas att skriva pÃ¥ sjÃ¤lva avtalet? Massmedia borde ocksÃ¥ undersÃ¶ka det hela och gÃ¥ till botten med fackets agerande. Facket borde ocksÃ¥ interngranska sina fÃ¶rbund och se om de verkligen ger sig pÃ¥ “rÃ¤tt” fiender. VarfÃ¶r jagar inte facket de uppenbart kriminella elementen i krogvÃ¤rlden, eller de som uppenbart anvÃ¤nder sig av svart arbetskraft och/eller arbetskraft som inte fÃ¥r svenska lÃ¶ner? You are currently browsing the Ministry Blog weblog archives for February, 2007.